Every teacher wishes to get the most out of their pupils, but many do not put the time and effort into creating the perfect learning environment in their classroom. A positive, stimulating classroom environment will maximise motivation, positivity and productivity to provide the best results. There are five core steps which can help you to create a positive classroom environment for your students which, in turn, will provide incredible academic results. Why is the classroom environment important? Positive learning environments have been shown to increase productivity among students, helping to achieve better academic results and strengthen the students’ desire for learning. A positive, engaging learning environment will help your students to feel comfortable, safe and motivated, driving active participation and maximising motivation. In the University of Salford’s recent study, it was found that the classroom environment directly affects a child’s academic progress by up to 25% over one year. This shows that a positive learning environment can truly affect the results of your students, so it’s important to dedicate some time towards creating an inviting classroom. One of the first steps to creating a positive classroom environment is to remain positive yourself - positive teachers will create happy, successful students. Young children are particularly influenced by positivity and negativity, so it’s important to maintain a positive, upbeat outlook in order to boost morale within the classroom. A teacher with a negative attitude can drastically reduce their students’ motivation, leading to poor results, productivity and classroom morale. 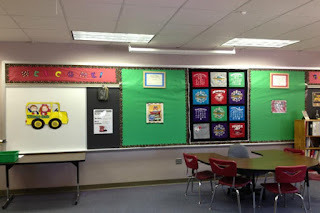 One of the best, most effective ways to create a truly inviting classroom is to evaluate the decor around the room. 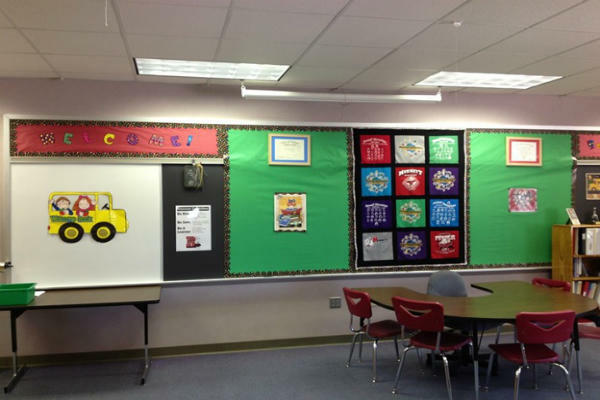 By dressing up the walls with interesting, attractive displays, you’ll increase your students’ desire for learning. Creating a display of the best work around the classroom will ensure that your students take pride in their work. It will also demonstrate that you, their teacher, value their work and really reinforce their effort. Alternatively, displaying a notice board on the walls can keep your students excited about upcoming events such as birthdays, holidays and school trips. Psychologists suggest that having an event to look forward to can help to alleviate any feelings of stress while creating healthy anticipation for the future. While many classroom displays can look messy and disorganised, there are practical solutions to keep the walls looking tidy and well thought-out. Inflows have created a collection of flexible wall-mounted display boards which will help you to easily present your students’ work. All of these methods will help you to really get to know each one of your students on a personal level. Children who feel truly nurtured and valued will be the most positive, motivated and successful students they can be. Encouraging your students to take responsibility for a particular task inside the classroom will teach them an important lesson in independence and obedience. Whether they’re in charge of watering the plants inside the classroom, feeding the classroom pet or handing out worksheets, taking responsibility for a small task inside the classroom will make the student feel important, as well as teaching independent learning in the long run. Finally, the last step to creating a positive, healthy classroom environment is to set clear expectations to your students. By making your students what is acceptable and what isn’t within your classroom, you’ll create a healthy, happy learning environment, as well as putting them at the centre of the learning process. By having a set of clear expectations within your classroom, your students will be able to take responsibility for their learning and behaviour. They will know exactly what is expected of them from the minute they set foot in the classroom to the minute they leave. Equally, setting clear expectations has been proven to improve behaviour within the classroom, making your job just that little bit easier.